Los Angeles is a city on steroids. 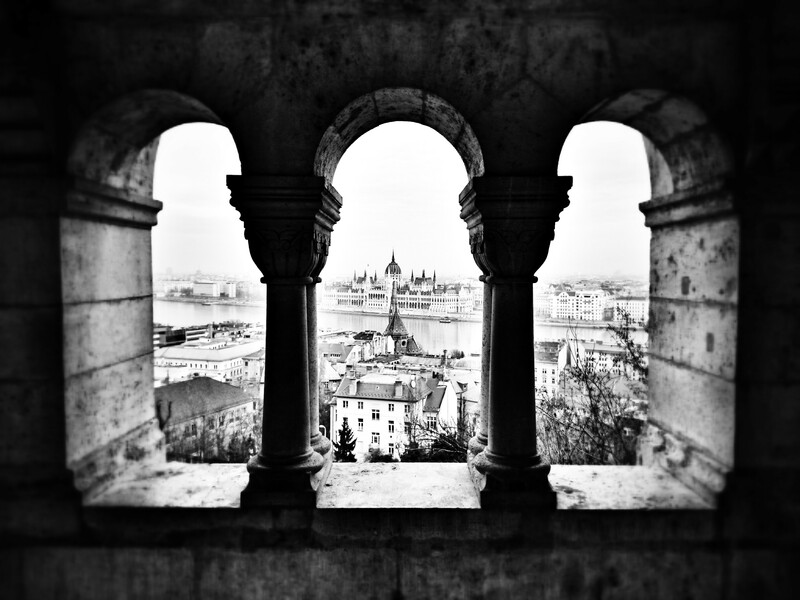 I have still never been anywhere quite like it and many people love its vibrancy. We had a fun couple of days exploring the gluten free Los Angeles side of this mad city before escaping to more peaceful shores. Having read lots of blogs about gluten free Los Angeles before we visited, I thought being coeliac here would be a doddle. Not so. Many of the eateries promoted on other gluten free websites don’t actually take cross-contamination into account and I found it really frustrating. We would drive 45 minutes to get somewhere and then discover there was only one dish I could have safely (*ahem* looking at you, Blue Daisy). Traffic and gluten free confusion aside, there definitely was a positive side to the city. 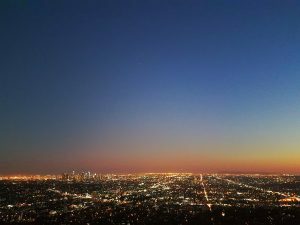 I loved walking up to the observatory for sunset, exploring cool neighbours like Abbot Kinney and we did mange to eat plenty of good gluten free food while we were there. There are a few fully gluten free eateries, which are a guaranteed safe bet if you don’t want to go through the hassle cross-contamination-questioning! 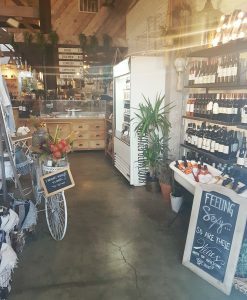 To save you guys going through the effort that I had to go through, here is my take on gluten free Los Angeles, with recommendations suitable for coeliacs. I have broken my tips down by neighbourhood, as the city is so sprawling. 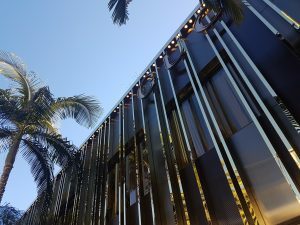 We stayed in Santa Monica and Venice so a lot of my suggestions are for the surrounding area, but we did get around as much as possible and you will find some further afield recommendations too. I barely scratched the surface of gluten free Los Angeles, but I hope it is a helpful start for you all! 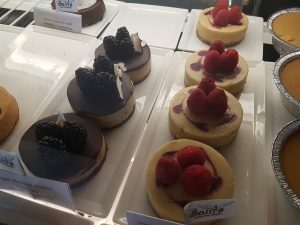 Sinners & Saints is a wonderful bakery with a very large selection of gluten free cakes, pies and cookies. They actually have more gluten free than regular products, all marked with white “Saints” flags and generally stored away from the black “Sinners” flags on the gluteny products. I spoke with the staff and they assured me they also take a lot of care to avoid any cross-contamination in the kitchen. We tried their lovely mini cupcakes, raspberry choux buns and an epic slice of pecan pie. A must visit if you are in Venice, LA. Not an area in itself, but we found so many gluten free Los Angeles options here I decided it needed its own subsection! Abbot Kinney is hipster central in Venice and we found lots of strong gluten free options here. 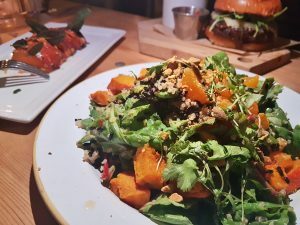 The Butcher’s Daughter – a vegetarian restaurant with cool style, helpful staff and plenty of gluten free options. They totally understood my coeliac requirements and advised me to avoid the fries (due to fryer cross-contamination). Our server was able to talk me through the menu and the available gluten free substitutions that could be made. I had one of their massive salads and a hassleback sweet potato. FalaBar – falafel place where everything is gluten free other than the pittas and burger buns. We didn’t eat here but I chatted to staff and they were pretty clued up and said they could cater for coeliacs. Green Leaf – big gourmet salads are ordre du jour here. All salads are or can be modified to be gluten free and they have gluten free burger buns for their vegan burgers. Do double check about how the bun is toasted if you go for this option. 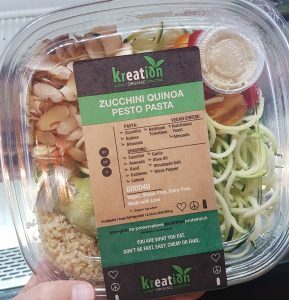 Kreation Organic – loaaads of gluten free here and some amazing salads and gluten free wraps to take away, as well as a selection of fancy juices. The sit down cafe menu looked great from a gluten free perspective too – they had hot and cold tapas, large dishes and breakfast options. Counter-balance you healthy salad with one of their mega gluten free cookies too, which included peanut butter sandwich and pecan pie. Fresh Brothers – for epic takeaway pizza that my husband reckons is as good as gluteny pizza, head to Fresh Brothers. They have a gluten free menu and take a lot of care to avoid cross-contamination, with a dedicated preparation area and gluten free knives and trays for cooking. I chatted with the staff and they told me they actually have a lot of coeliac customers so they understand the importance of keeping everything separate (following US Celiac Association advice). 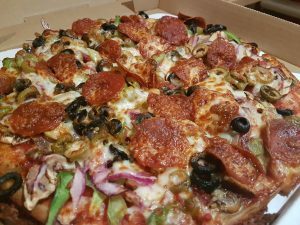 The pizza here really was something special – proper American-style pizza with a tonne of toppings and a brilliant gluten free base. Possibly my gluten free Los Angeles highlight. Don’t miss it! They have a few branches across the city. Blue Daisy – beware the good reviews online if you are coeliac, as this place was SO disappointing. If you are simply avoiding gluten then the menu here is excellent, with gluten free pancakes and french toast on offer. However, as a coeliac they told me none of the regular options were safe as they were all cooked on the same surfaces as gluten-containing products. 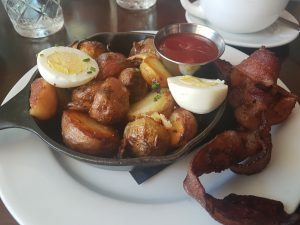 There was only one option I could have – some oven-roasted potatoes with an egg and a side of bacon. It was a really odd brunch and didn’t come together as a dish. We ate here as we had spent ages trying to get parking but I would skip it unless you as desperate for some roast potatoes and a hard boiled egg! The positive side was that our server really bent over backwards to ensure I had a fully safe meal and double-checked everything with the kitchen. 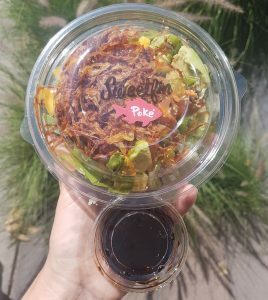 Sweet Fin Poké – we loved it here as they are fully gluten free. I double-checked with staff who told me they use tamari instead of soy (when you go please ask them to ensure this is still the case). They had lots of amazing poke bowl options. You choose a core ingredients from tuna, salmon, albacore, snapper, tofu or chopped veg, then a base of rice, kelp noodles or citrus kale salad (you can mix a couple if you want). Then you select various add ons, such as crispy onions, avocado, mango, wasabi toasted coconut, snow peas, ginger and edamame. Finish that poke bowl off with a yummy gluten free dressing, such as ponzu lime, avo-coco or spicy yuzu. YUM! Locations across the city. 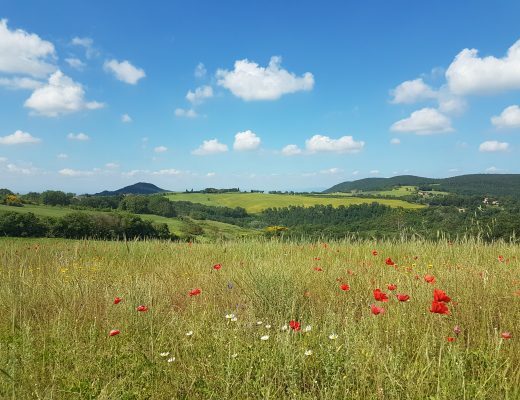 The Hive – a little cafe that we didn’t try ourselves but I had a good look at the menu. They appear to serve gluten free toast as standard, although please do double-check to ensure there is no cross-contamination risk. Options included gluten free avo toast, acai bowls, gluten free salad and soups, gluten free tacos and tortillas. True Food – another place we checked out was True Food. I spoke to the staff and they confirmed they could cater for coeliacs and certain dishes would be safe for us. Their menu is marked up with gluten free choices. Wahoos Fish Tacos – a couple of people had recommended Wahoos to me as they have a dedicated gluten free menu, however please note the fried items are not suitable for coeliacs due to fryer contamination. 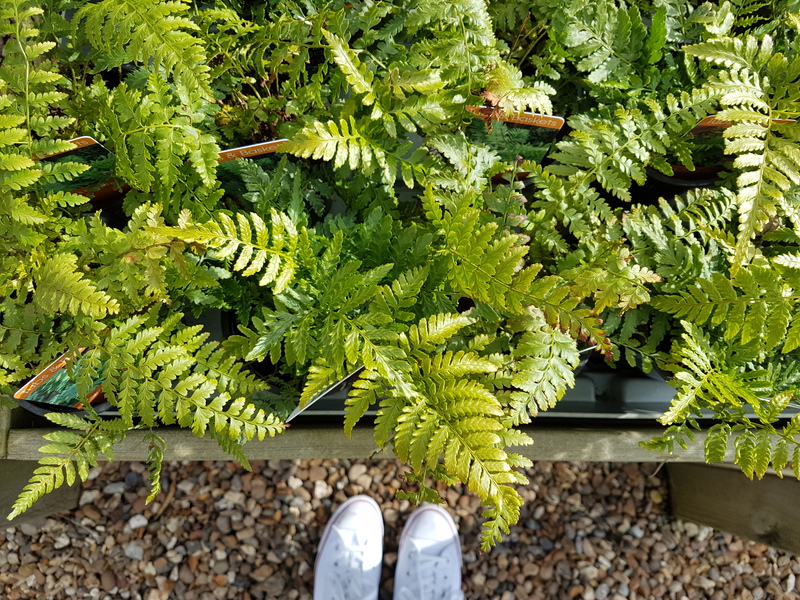 Sweet Green – this salad bar place has lots of gluten free options and actually marks dishes that contain gluten only, rather than marking options as gf. When we visited only one of their salads contained gluten due to one of the toppings. I just avoided any surrounding ingredient pots to ensure my salad was super safe. 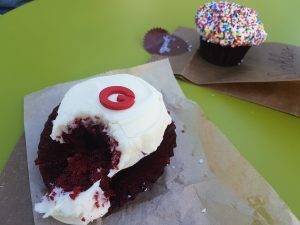 Sprinkles – pick yourself up a delicious gluten free red velvet cupcake or gluten free chocolate chip cookie from Sprinkles. The gluten free choices are stored out back away from regular cakes to prevent cross contamination. The gluten free cupcakes are also are marked with a cute little G. The sponge was light and fluffy and the icing was the perfect level of sweetness without being sickly. 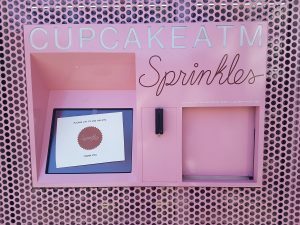 They also have a cupcake ATM for added novelty value, although sadly it was out of order when we visited! 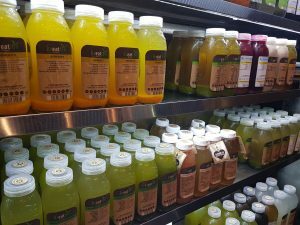 Kreation Juicery – as I mentioned above, Kreation is a nice little lunch spot and has lots of healthy gluten free options. Perfect for countering that Sprinkles sugar rush as Kreation is a couple of stores down from the bakery. Asian Box – not too far from Beverly Hills is 100% gluten free Asian takeaway Asian box. We didn’t make it here but I have read lots of reviews stating is it fully gluten free and safe for coeliacs. Apparently they are also able to cater for other allergies. 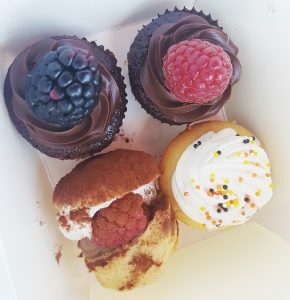 Erin McKenna’s – on Larchmont, this fully gluten free and vegan bakery does a huge array of gluten free treats. 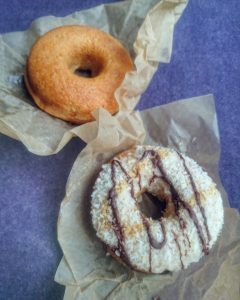 Try one of their doughnuts for a super American snack made gluten free! I loved the Samoa variety – give it a try :). 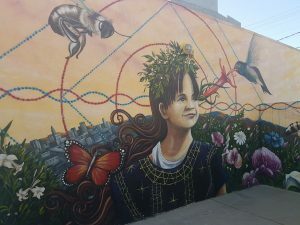 Honey Hi – located in Echo Park, this is a dedicated gluten free restaurant that makes for a great brunch spot in a cool area of LA. Malibu Farm – on Malibu pier. I received a number of recommendations to eat here. We drove past and it looked like a fabulous spot overlooking the water. Nothing Bundt Cakes – apparently their gluten free chocolate chip cake is the best. BJ’s Pizzeria – for gluten free pizza and pizookie (which is apparently a skillet-cooked chocolate chip cookie with icecream on top – wow!). Venice Ale House – for gluten free mac and cheese. 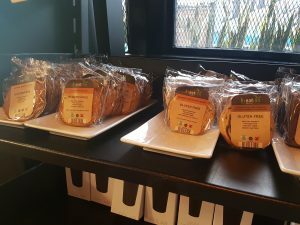 Wild Living Foods – located in the downtown area, this place is apparently fully gluten free and has some neat takeaway options for lunch, including sandwiches and bagels. Hugo’s – can do most dishes gluten free. Cafe Gratitude – for gluten free, vegan food. 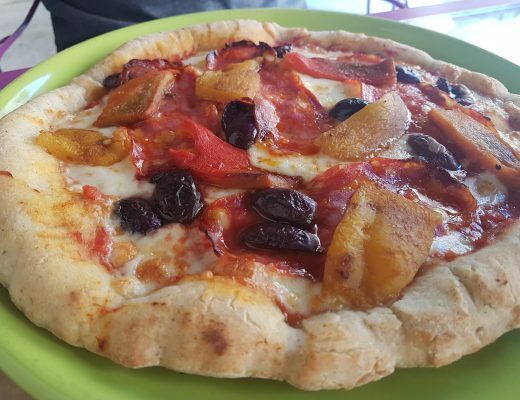 Evo Kitchen – on Sunset, serving up gluten free pizza. PF Changs – I received lots of recommendations for PF Changs, many from coeliacs who have had a good experience here. However, I was badly glutened at the Las Vegas branch so I can’t give this one my personal backing. Hopefully my bad experience was just a one off due to server error. Grom – unlike the European Grom icecream chain, the Grom is LA is NOT fully gluten free. They will take a lot of care though if you are sensitive and all the gelato is gluten free, however now their cones are not gluten free.